Highly Upgraded Junior one bedroom in Belgravia Developed West Loop High Rise. Located just steps from the Loop, Union Station, Greek Town and The West Loop, there isn't a better value on the market! Kitchen Features Stainless Steel Appliances, Granite Counters, 42" Maple cabinets, and custom lighting. Spacious balcony overlooks a beautifully maintained four season sundeck that also offers space to grill. Large Utility room with in unit washer/dryer as well as a custom built BONUS CLOSET for much needed additional storage. 565 Quincy is one of the most amenity filled buildings in the city featuring a 24 hour door man, on site building engineer, bowling alley, fitness room, movie theater, ping pong and pool tables, party room with kitchen, additional storage and bike room. Rental parking available. 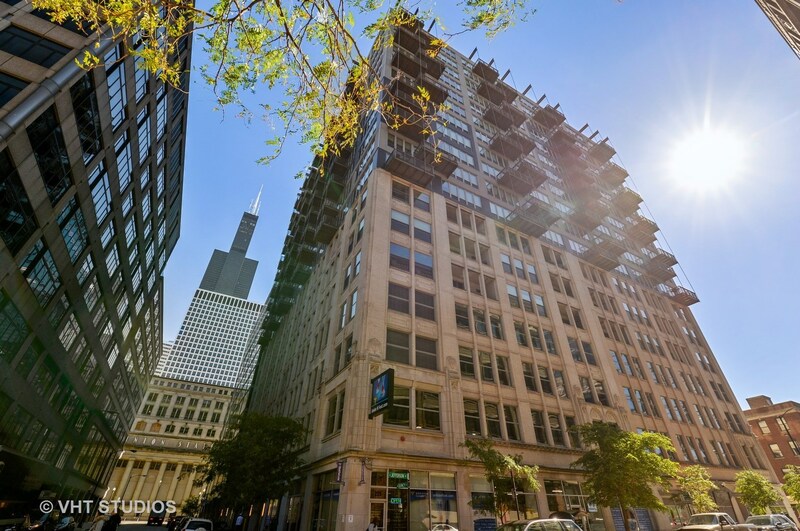 565 West Quincy Street #1112, Chicago, IL 60661 (MLS# 10143769) is a Condo / Townhouse property that was sold at $208,000 on April 19, 2019. Want to learn more about 565 West Quincy Street #1112? Do you have questions about finding other Condo / Townhouse real estate for sale in Near West Side? You can browse all Near West Side real estate or contact a Coldwell Banker agent to request more information.